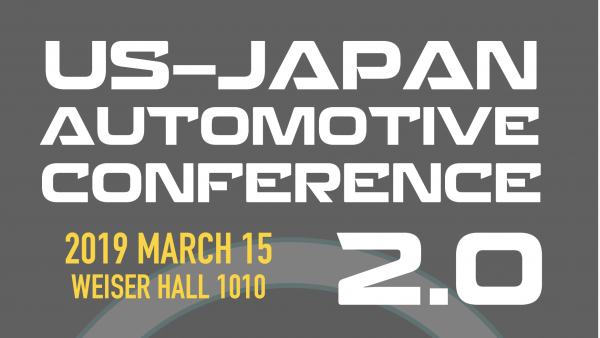 A revival of the US-Japan Automotive Conference held annually between 1981 and 1989, USJAC 2.0 will gather industry leaders, policymakers, and scholars from both sides of the Pacific to discuss the past, present, and future of the US and Japanese auto industries, paying particular attention to the issues of trade, management, and technological change. Keynote speaker and panelist announcements forthcoming. Questions? Feel free to contact Brad Hammond at bradlyh@umich.edu. If you are a person with a disability who requires an accommodation to attend this event, please reach out to us (umcjs@umich.edu) at least 2 weeks in advance of this event. Please be aware that advance notice is necessary as some accommodations may require more time for the university to arrange.